As a clinical faculty member supporting the MacCARE program at McMaster University, you've graciously offered your time and expertise to help ensure future health professionals have the experience necessary to succeed. This guide will introduce you to the library's key resources and provide some useful tips for using these tools effectively. Evidence-based clinical tool that includes a collection of drug databases from need-to-know drug, pediatric, disease, lab, and toxicology information. Includes mobile apps for drug reference, IV compatibility, and drug interactions. 2. 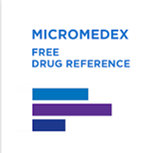 On Micromedex's page, click on "Download Centre" in the top right hand corner. 3. Follow the instructions, taking note of the password required. Library resources can be accessed from off-campus by logging in with your MacID username and password. Your MacID username will be included in your welcome package. You can set a password and activate your MacID using the MacID activation tool.